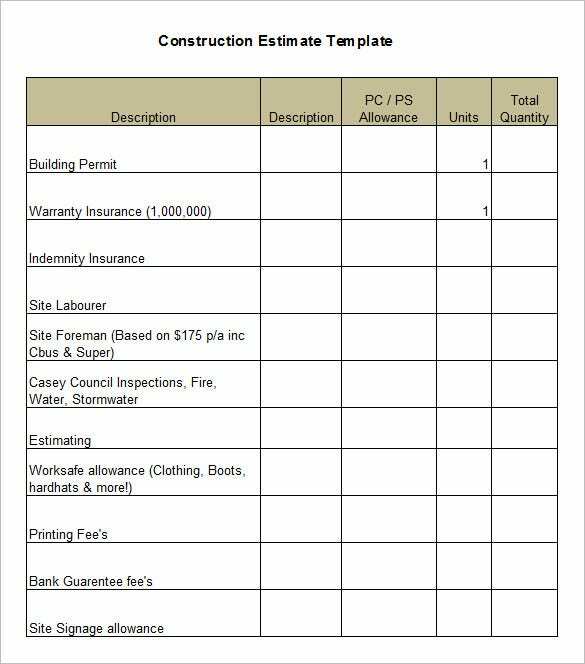 If you are planning an elaborate construction contract template that will include sections on every aspect of the job description like survey, permit, impact fee, plan review etc.- then this is the template for you. 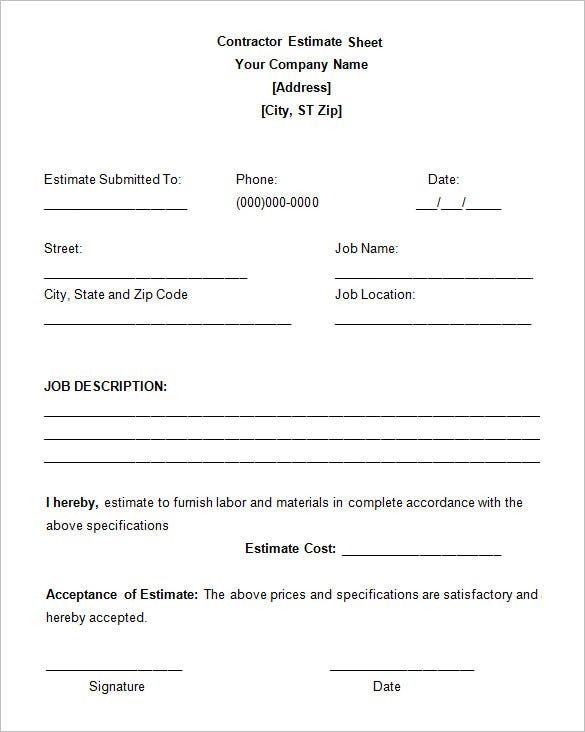 You may also see Work Estimate Templates. If you don’t want to get into too much of details with every aspect of job description and want a basic estimate with bare essential categories, this template here would be handy. 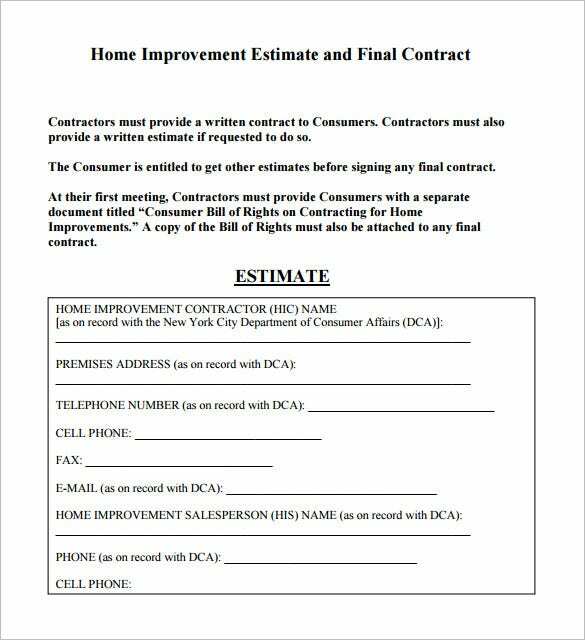 This template starts with a note on the duty of contractors on providing an estimate to customers followed by a chart on the name and contact details of the contractor. You may also see Estimate Templates in Word. 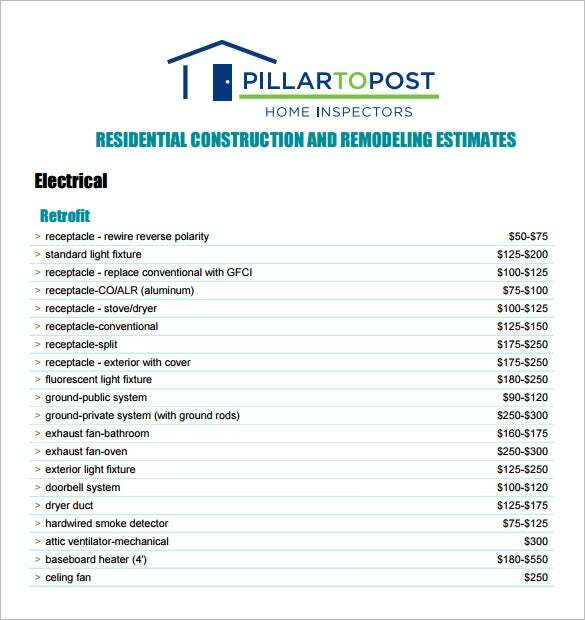 You are getting a detailed construction estimate here where you have sections on all the important categories like PC/PS allowance, units, total quantity & every aspect of the sample job description. 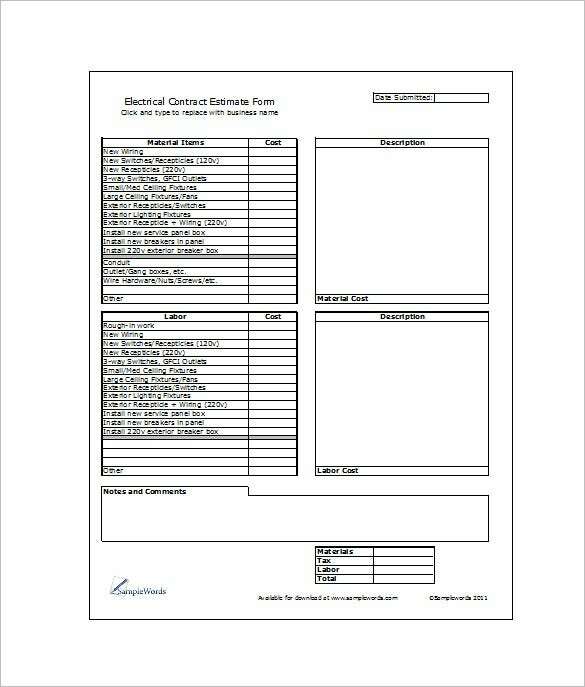 This is an electrical contract estimate template with highlights on every aspect of 2 major categories of the job such as material items & labor. There is sizeable space for text description beside each category.You may also see Painting Estimate Templates. It’s neat and smart thanks to its “listing” format. There is no elaboration with broad textual descriptions and you will have a customized space to place your logo on the template. You may also see Landscaping Estimate Templates. There are multiple ways of estimating your income and expenditure, to providing data and adding resources in the template. I f you wish to become a contractor you can start of by making estimates out of it so that you find success in your business. 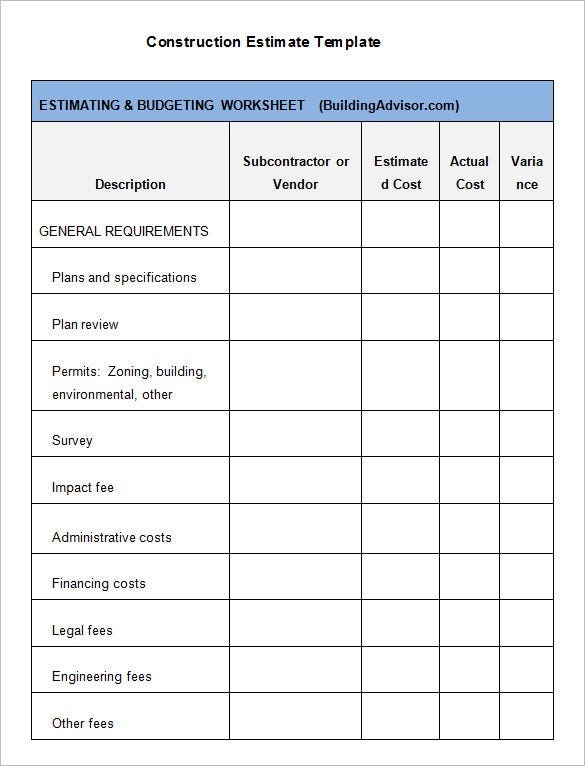 You may also see Sample Project Estimate Templates.